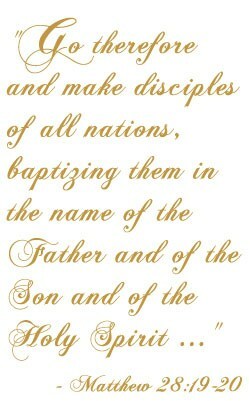 Infant baptism (up to 6 years of age) is celebrated on the 2nd & 4th Sunday of each month at 1:30 pm in the Church. Please contact the Parish Office 516-922-4488 extension 3 to register. A required Baptism Preparation Class is held at 7:30pm on the third Tuesday of each month. The program's aim is to affirm and support the child's Baptism and explain the religious significance of Baptism, its celebration, and the continued expression of the Catholic Christian life in the Church. Please contact the Parish Office 516-922-4488 extension 3 to register. The Rite of Christian Initiation of Adults (RCIA) offers classes for adults and children aged 6 or older into full communion with the Catholic Church through the receipt of the sacraments of Christian Initiation (Baptism, Confirmation and First Communion). Please contact Sue Schwartz at 516-692-4180 or winnisue7@gmail.com﻿ for more information.